St. Martin's Griffin, 9781250020376, 416pp. "Damian Baxter was a friend of mine at Cambridge. We met around the time when I was doing the Season at the end of the Sixties. I introduced him to some of the girls. They took him up, and we ran about together in London for a while…." Nearly forty years later, the narrator hates Damian Baxter and would gladly forget their disastrous last encounter. But if it is pleasant to hear from an old friend, it is more interesting to hear from an old enemy, and so he accepts an invitation from the rich and dying Damian, who begs him to track down the past girlfriend whose anonymous letter claimed he had fathered a child during that ruinous debutante season. The search takes the narrator back to the extraordinary world of swinging London, where aristocratic parents schemed to find suitable matches for their daughters while someone was putting hash in the brownies at a ball at Madame Tussaud's. It was a time when everything seemed to be changing—and it was, but not always quite as expected. 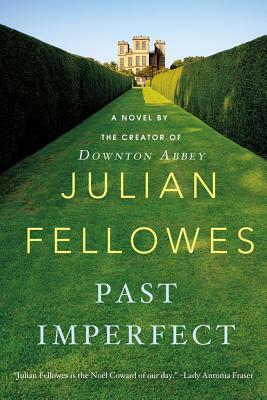 Past Imperfect is Julian Fellowes at his best--a novel of secrets, status, and a world in upheaval.